"They had a very robust and lengthy exchange on the subject," Tillerson said after the two leaders met for two hours on the sidelines of the G20 summit in Hamburg, Germany. 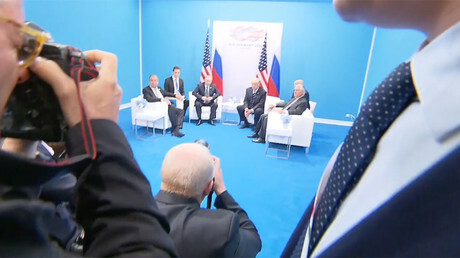 "The president pressed President Putin on more than one occasion regarding Russian involvement. President Putin denied such involvement, as I think he has in the past," he said. Russian Foreign Minister Sergey Lavrov confirmed that the two leaders discussed the subject. “President Trump said he heard President Putin’s clear statement that [the allegations] are not true, and that the Russian government has not interfered [in the US election], and [Trump] accepts those statements,” said Lavrov, adding that the US has not revealed any proof of such interference. At a press conference in Poland on Thursday, a US reporter asked Trump to unequivocally say that Russia had interfered in the 2016 presidential election, but he declined. The meeting, which was initially planned to last 30 minutes, went on for over two hours. The leaders discussed many topics, including Ukraine, Syria, cybersecurity and fighting terrorism, according to Putin, who spoke at a news conference with Japanese Prime Minister Shinzo Abe right after his meeting with Trump. Putin apologized to Abe for making him wait for about an hour. "Both I and [the US president] owe you an apology," he said. Meanwhile, Trump and Putin had "positive chemistry" during their first meeting, Tillerson said, adding that there was “so much to talk about" that neither leader "wanted to stop." The two "connected very quickly," said Tillerson. First Lady Melania Trump was sent into the meeting at one point to see her husband and "get him out," Tillerson also said. "Clearly, she failed," the top US diplomat joked, adding that the meeting went on for another hour after that. After the meeting, US and Russian officials announced a ceasefire agreement in southwest Syria, set to take effect on July 9. The armistice applies to the southern Daraa, Quneitra and As-Suwayda provinces. 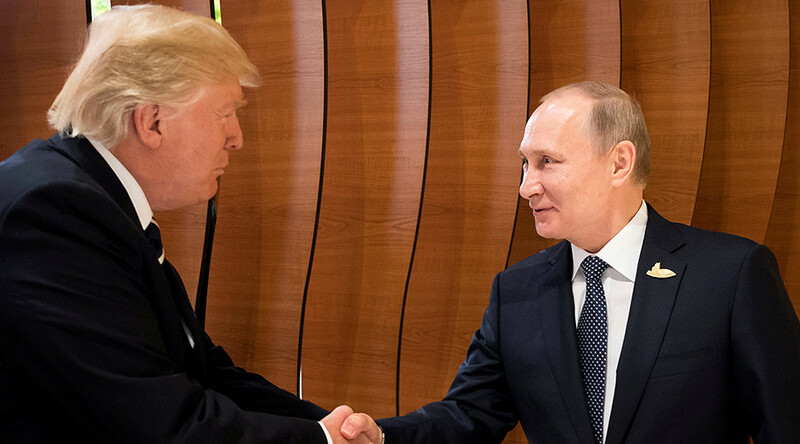 “In this zone, the ceasefire regime will take effect on July 9 starting 12:00 Damascus time,” Russian Foreign Minister Sergey Lavrov said after the meeting between Trump and Putin. Lavrov and Tillerson were also involved in the discussions. “The US took an obligation that all the militant groups located there will comply with the ceasefire,” Lavrov said. Tillerson described the deal as the first indication of the Trump administration and Russia being able to work together in Syria. On North Korea, Trump and Putin "had a pretty good exchange" as to how to handle the threat of the country’s nuclear program, Tillerson said. “This is a campaign to lead us to a peaceful resolution because, if this fails, we don't have very many good options left,” Tillerson said, according to a transcript from CNN. Russia’s ultimate goal is the same as that of the US: denuclearization of the Korean peninsula. However, the two countries have differences in the tactics used to achieve that goal, Tillerson said. The secretary of state said Trump and Putin had very different ideas on how to deal with North Korea, but the US does not support the Chinese and Russian “freeze for freeze” proposal that would see the US suspend military exercises in South Korea in exchange for North Korea freezing their missile tests. Instead, Tillerson said the US wants North Korea to “come to the table” and talk about rolling back their nuclear program. "We have not given up hope," Tillerson said. Washington had earlier turned down a proposal by Russia and China to suspend its joint drills with South Korea in exchange for North Korea freezing its nuclear weapons program. The US has warned it is ready to use force to stop North Korea's weapons programs, but it prefers diplomacy because a military action could have catastrophic consequences.